Though technically known for creating the world’s first pilot’s watch, these days most folks recognize Cartier as a jewelry/accessory brand more than anything. After decades of quartz calibers appearing in most of the Cartier Tank and others, the brand’s reputation as a true watchmaker fell off of most people’s radar. 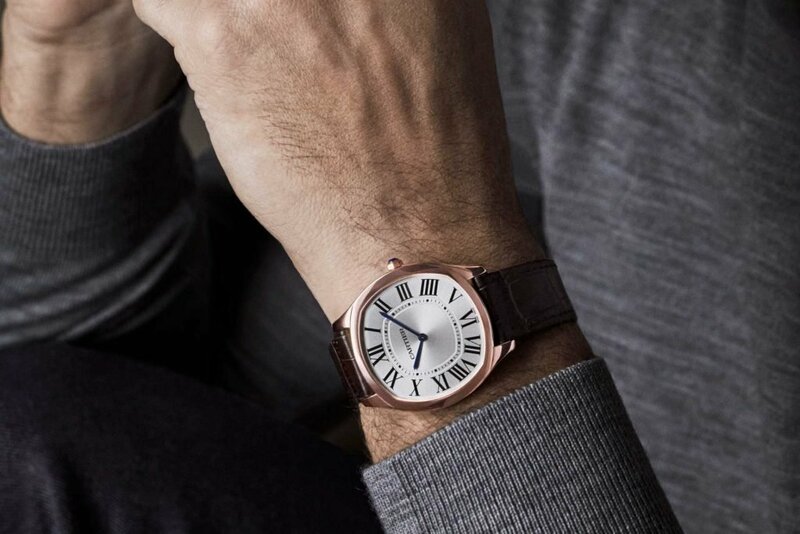 Thankfully, times are changing rapidly at Cartier, and in recent years the brand has released a healthy number of fantastic watches worthy of consideration from even the most particular of watch collectors. The best part is these releases run the gamut of high watchmaking. Everything from their more daily-wear friendly pieces through to their more complex creations are growing more and more impressive by the day, to the point that they’re offering perfectly viable competition to the likes of Jaeger LeCoultre, Breguet, and numerous others. Of the many offerings on the table, these are the core offerings that should be on your radar. Not going to pull any punches here; I absolutely adore this watch. Priced at $5,600 and measuring a very svelte 6.6mm thick, the steel extra flat really has no rival. An extra-thin from Jaeger will cost you the same money without achieving the same case thickness, and otherwise the Bulgari Octo Finissimo (another stellar watch) will cost you nearly twice as much for a slightly thinner piece. Competitors aside, its hand-wound caliber is based off of the Piaget calibre 430P, offering a modest 38 hour power reserve. While this doesn’t keep up with the 42-70 plus power reserves of most watches on the market, this stat is a byproduct of its thin caliber. Given that you’re winding the piece by hand regularly regardless it is anything but a strike against the watch itself. At 39mm across the Drive de Cartier hits a great wearability sweet spot for a range of wrist sizes, and though it seems a touch dressy at first glance it is still quite wearable when paired more casually, which is something that can’t be said for a lot of dress watches on the market today. The entire Santos collection got a proper refresh this year, including the more traditional pieces, though it was this unique manufacture caliber skeleton model that caught my attention the most. Skeletonization is a tricky business at the best of times, and just as much as it can go right it can easily go very wrong in a hurry. The smart move here on the part of Cartier’s movement engineers was their idea to skeletonize the large Roman numerals that the Santos is known for, and turning these pieces into the mainplate and bridges for the caliber itself. Not immediately obvious to the untrained eye, the five visible jewels on the same plane as the indices are the giveaway here. This time 39.8mm across, the hand-wound caliber in the Skeleton uses a pair of mainspring barrels to bring the power reserve of this piece up to a respectable 72 hours. Finishing of the caliber is very well executed given its $26,800 sticker price as well. What makes this piece of particular interest is the fact that Cartier is now playing in the mid-range with its manufacture calibers. 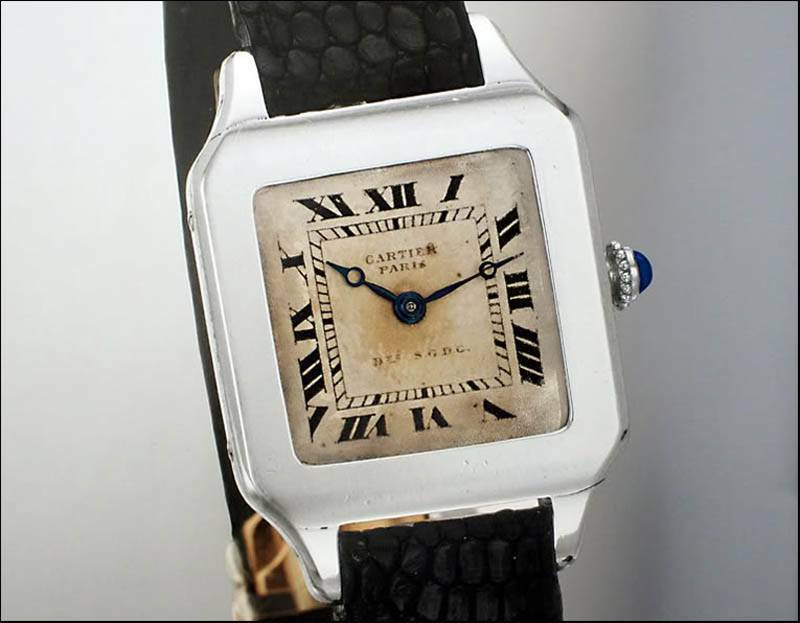 Previously it was more common to see more conventionally designed watches from Cartier floating in the $5k to $30k range depending on the type of metal used in its construction, whereas skeletonized and generally more elaborate calibers were reserved for top-tier pieces in the six figure range. Though this piece won’t be for everybody, it definitely has the chops to compete in the price bracket. Definitely upping the game in terms of price point, this unique creation was another home-run that came as a pre-SIHH release in late 2017. In the lower half of the dial, a retrograde minute hand wanders across a sunburst guilloche dial until it reaches 60 minutes and snaps back to zero. 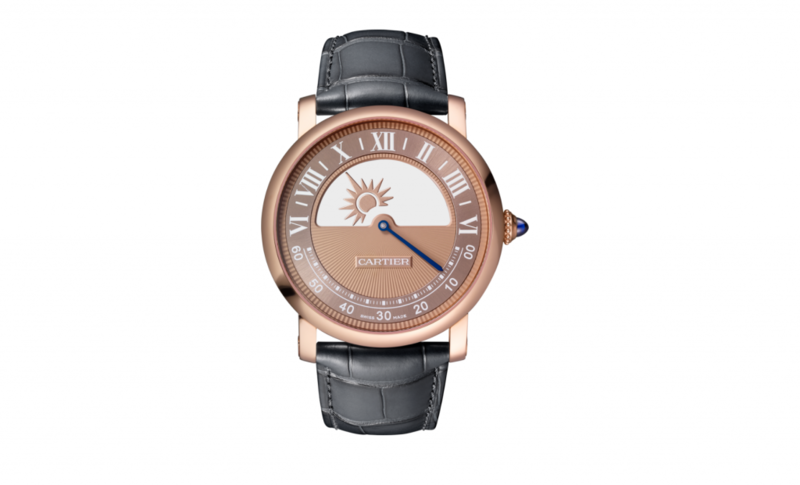 In the upper half, a pointer in the shape of a sun indicates hours across the dial from 6am to 6pm, when it disappears behind the minute portion of the dial, replaced by a moon-shaped pointer indicating the hours through the hours of (conceptual) darkness. These “floating” pointers are affixed to a sapphire disc, driven by the compact movement that hides beneath the lower portion of the dial. This is a technique that cartier has been using on a number of its “Mysterieuse” watches over the years, though this is one of the rare times we see it in a less conventional application. Well done, Cartier, well done. 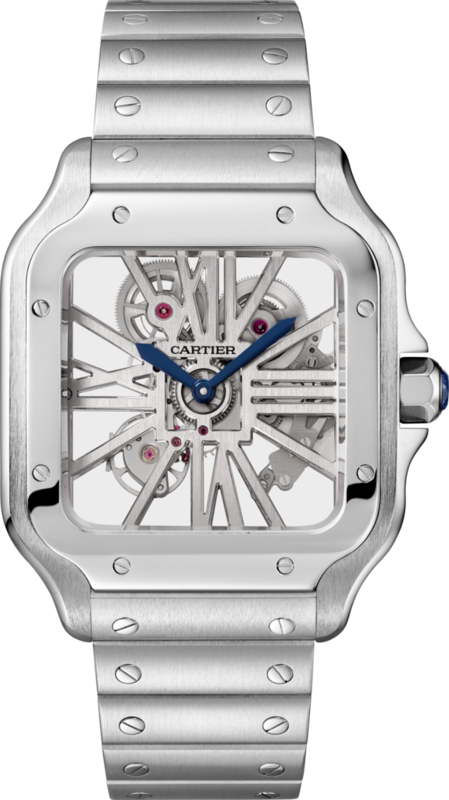 The post Inside Cartier: The Longstanding Luxury Brand is More Than Just a Pretty Face appeared first on Bob's Watches.